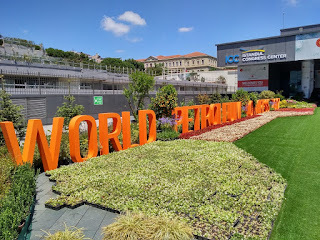 In typical fashion, two packed days have zipped by at the 22nd World Petroleum Congress in Istanbul, Turkey and the Oilholic could count at least a dozen talking points, few of which are duly noted here. Let's start with Total's boss Patrick Poyanne, whom this blogger has not had the pleasure of listening to since the International Petroleum Week in London. Pouyanne told WPC delegates that Brazil's mammoth offshore deepwater fields could one fine day be "as profitable as US shale". That's providing operators and consortium partners keep a tight handle on break-even costs. "Maybe they are long-cycle, and shale is short-cycle, but in terms of profitability, in the giant deepwater fields it is easy to make money, provided a handle is kept on the break-even," he quipped. Another industry captain - Shell's CEO Ben van Beurden - correctly opined that discussions over the global energy mix and the transition to a low carbon global economy should not only focus on Western perspectives. Meanwhile, murmurs in the Congress background suggest Abu Dhabi National Oil Company may beat Saudi Aramco to a mega stock floatation. The planned IPO would be of ADNOC's distribution business, which manages 460 petrol stations and accompanying convenience stores across the United Arab Emirates. According to sources, ADNOC's expected valuation for the business is around $14bn, which if realised could net it $1.5bn to $2bn via a 10-15% equity float which many say might be on the immediate horizon. Still early days though. (Read all about it here). Finally before one takes your leave, it seems 'Crude' history has been made, with India poised to buy its first consignment of US oil. Indian Minister Dharmendra Pradhan told the Oilholic the crude sourced is conventional, but New Delhi might consider going for shale oil too in the future. Here is one's full report for IBTimes UK. Well that's all for the moment from Istanbul folks! Keep reading, keep it crude! © Gaurav Sharma 2017. 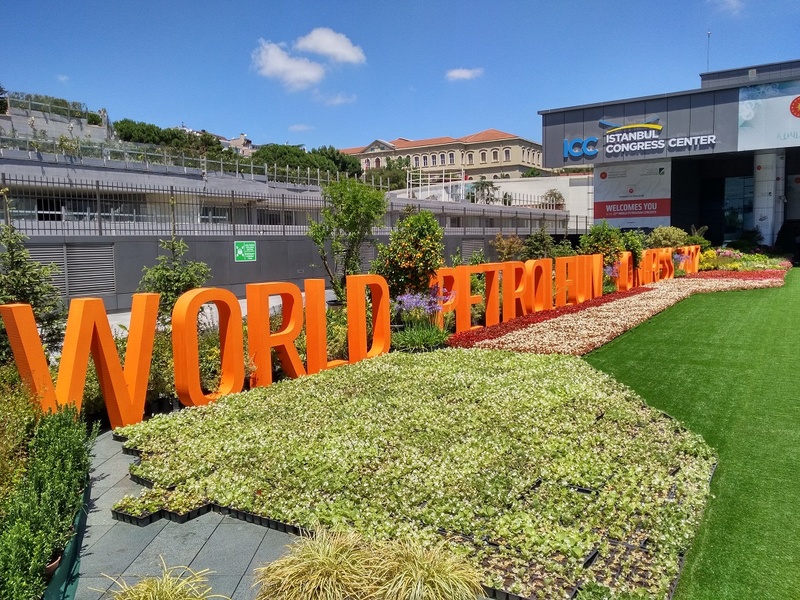 Photo: Front entrance garden of the Istanbul Congress Center, Turkey - venue of the 22nd World Petroleum Congress © Gaurav Sharma 2017.